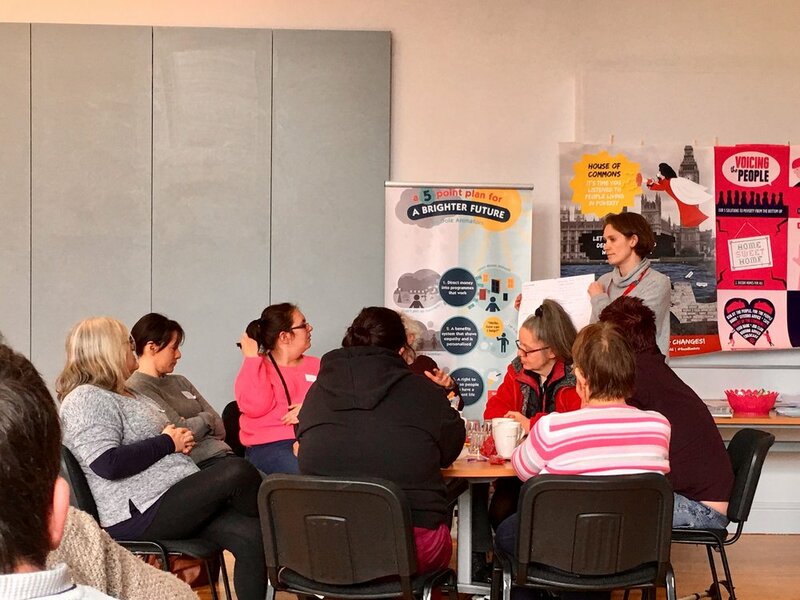 We're a group of activists from across the UK who have direct experience of living in poverty. Together, we're using our expertise to propose solutions to some of the biggest issues that lock people in poverty across the UK. We’re taking our ideas to politicians, policymakers and the media. Since 2016, we’ve been working together to map the problems faced by people living in poverty and to think about possible solutions. Now, we're building a campaign to try and make sure that the voices of people in poverty are better heard in policy and media debates. The Poverty2Solutions group is currently made up of three groups ATD Fourth World, Dole Animators and Thrive Teesside. We also work alongside a graphic designer, Dan Farley, and a researcher, Ruth Patrick, among others. We are grateful for support from the Joseph Rowntree Foundation and from the Webb Memorial Trust. We want to build links with other groups, individuals and organisations who would like to put an end to UK poverty. Get in touch if you’d like to get involved.